The first game between these two teams came down to the wire in Week 6 but the Tennessee Titans were able to hang on for a 14-16 win. It was the last time the Titans won a football game and they are currently riding an eight game losing streak. Here is our Titans at Jaguars Preview. 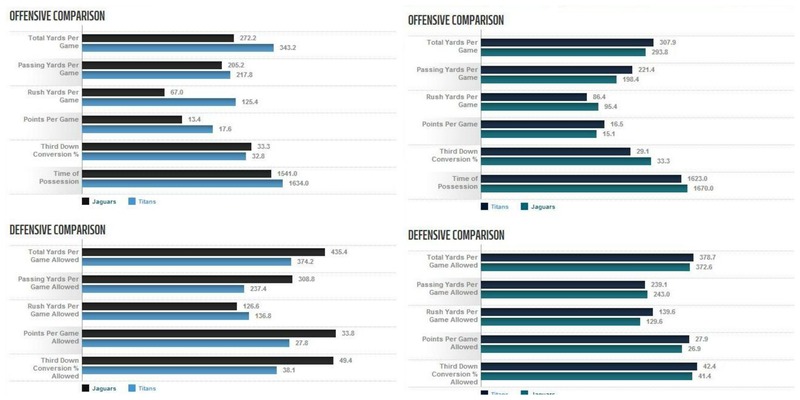 Neither team is very good and they are both dealing with injuries but the Jaguars at least have shown some signs of improvement since their first matchup. 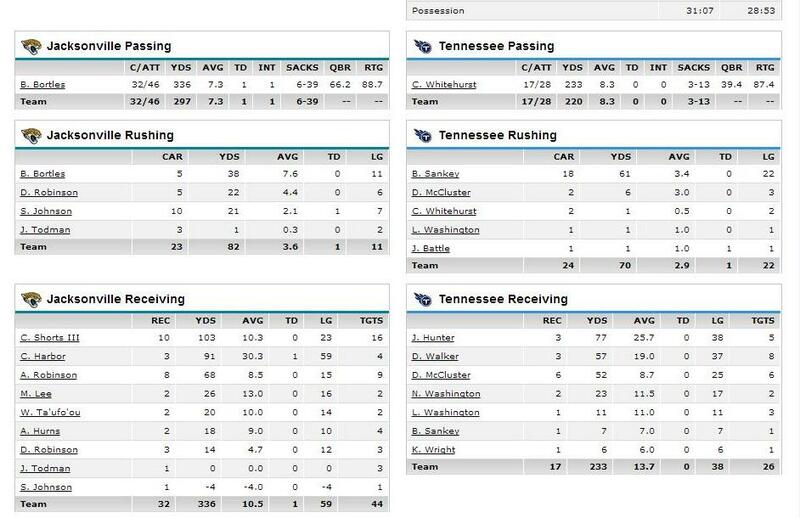 The Titans on the other hand have gotten worse. They will be starting Charlie Whitehurst just like they did in Week 6 due to injuries to both Zach Mettenberger and Jake Locker. Jaguars quarterback Blake Bortles will be a game time decision. Titans running back Dexter McCluster will be out for the game while the Jaguars just lost running back Denard Robinson for the year. You can find the full injury report here. I discussed this a few weeks ago here, but the Jaguars have finally ended their streak of consecutive games where they have been the underdog per Vegas betting lines.Per The Linemakers, Vegas has the line at Jaguars -3. Then there is this from that Linemakers look. The Jags are 4-4-1 against the spread in their last nine games and 2-1 against the spread in their last three. According to The Football Database, these two teams have met each other 40 times (including 1 postseason game), with the Jacksonville Jaguars winning 17 games and the Tennessee Titans winning 23 games. Per Awful Announcing, Jim Nantz, Phil Simms and Tracy Wolfson will be doing the broadcast as they usually do for the NFL Network on Thursday night. No word yet on the referee assignment for tonight’s game.